Giving a tablet to your child is not such a bad thing if you have the right apps installed on it that are appropriate for his age. In fact, allowing kids to use educational applications on these devices instead of playing games like Angry Birds can help them in learning a lot of new things and would aid their development as well. There are a number of such educational applications available to download for iPhone, iPad, and Android; some of them are free, too. Funbrain Jr. is a great app for kids that gives them the chance to learn about numbers, letters, and alphabets through interesting and fun games, which involve blowing up balloons and completing patterns. 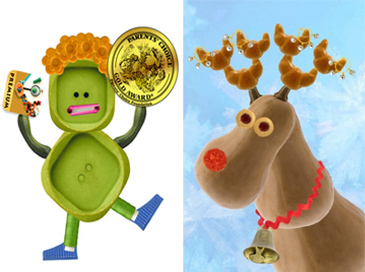 The app also features quirky characters that keep the children interested in playing the many games the app offers. 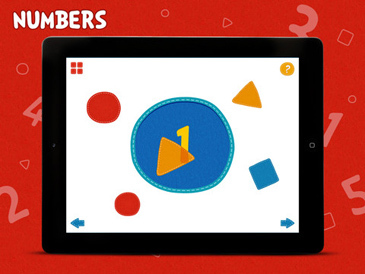 PLAY123 is a fun app for kids that can help them in learning about the basics of geometry. 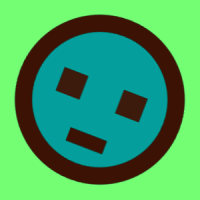 In this application, the child gets to hear a friendly voice that offers him instructions on how to play the various games included in the app. These simple yet interactive games have been designed to increase the child’s understanding of numbers, colors, and shapes. 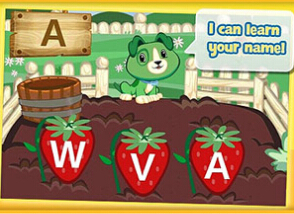 Scout’s ABC Garden is an excellent application that can help your child in learning letters. The app features a cute green dog that converses with the child throughout the game and calls him by his name. 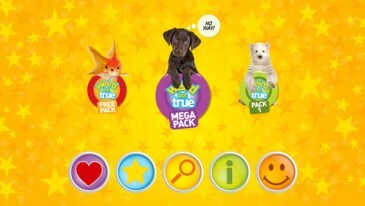 The dog also instructs the child when he is playing the different games and activities that the app has to offer. 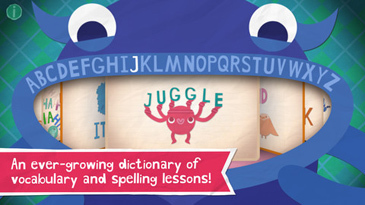 Endless Alphabet is a fun application for kids who want to learn new words. This app provides preschoolers with the chance to brush up on their spelling skills by offering them various activities in which they have to correctly spell the words shown. This app features cute looking monsters to capture the imagination of the children. 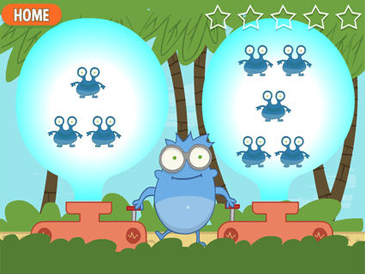 Math Easy HD is an educational app with a total of ten math-related puzzles, which can help your child learn basic arithmetic by encouraging him to count the objects and connect different dots together. 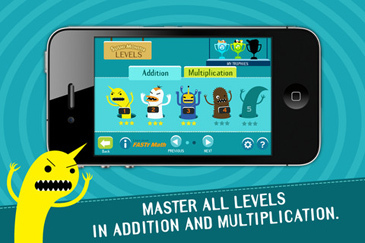 Sushi Monster is an amazing application that offers kids the chance to become experts at mathematics. 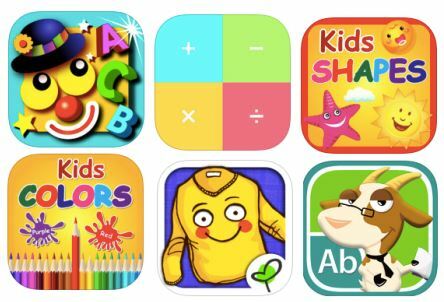 The app features games that are designed to enhance the child’s understanding of multiplication and addition. The games included in the app are challenging in nature and on completion reward the child with trophies and stars. Faces iMake–Premium is an award-winning app that has bagged the Parents’ Choice Gold Award for its innovative game play. Your child will absolutely love this innovative game where pictures will be designed using a variety of objects, varying from buttons to buckle and from fruits to vegetables. Your child would be able to learn a lot about outer space and gain knowledge about discovered planets with the exciting NASA App HD. 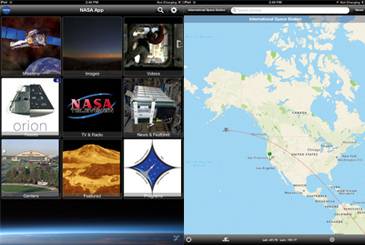 The app has a compilation of wonderful images and videos from space missions that wow both children and adults. 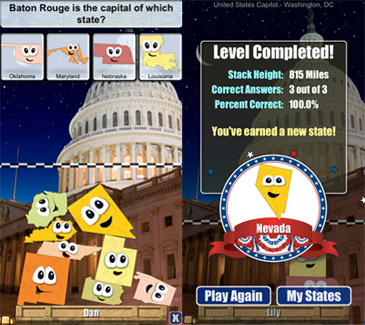 Stack the States Lite consists of a number of highly informational yet fun quizzes that test your child’s geography skills. The app’s nice graphics and animations keep children hooked, while the urge to do well in the quiz would lead them to learn a lot more about geography. The free version comes with quizzes for five states with questions related to the capitals, the population, abbreviations, the flags, and neighboring states; the full version, which has quizzes for all the states, costs 99 cents. 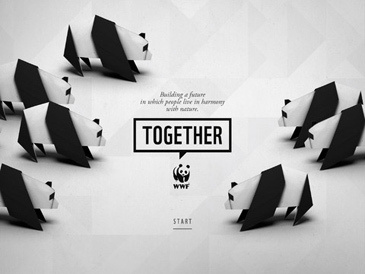 World Wildlife Fund’s WWF Together is a wonderfully-compiled app that provides extensive knowledge about hundreds of animal species. From elephants to pandas and from whales to turtles, the app provides detailed information on all of the wonderful animal species known to the world. The app also keeps the interest of children with features like “Tiger Vision” and “Origami Animals.” There is also a calculator that lets children know how far their favorite animal’s nearest habitat is from their houses. BrainPOP Featured Movie offers a great way to improve the child’s comprehension skills with a variety of short documentary-styled movies, followed up with short quizzes related to the movies. The documentaries are informative, covering topics like art and astronomy, and the app keeps the interest of the children going with its imaginative graphics and pictures. National Geographic’s Weird But True offers a great time-pass for kids while teaching them various fun facts. Children can also rate the fact’s level of weirdness with a Weird-O-Meter, which is a great touch on the part of the app. The fun facts can be explored according to subjects, with the app offering facts on most of the children’s favorite topics like animals, weather, history, and space.